Remind your guests just how lovely they are with the extra welcoming "Hello You Lovely People" doormat! 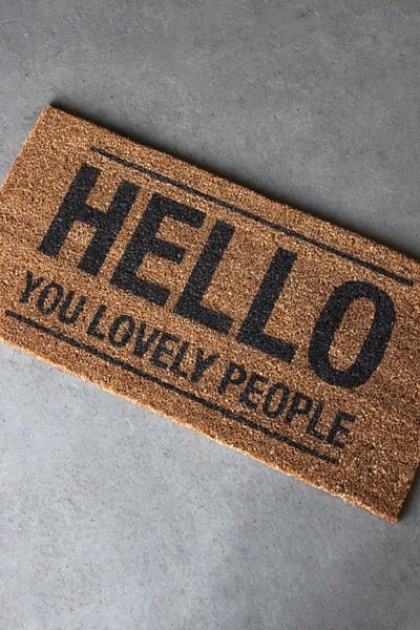 This indoor/outdoor doormat is made of brown Coir and features black writing that says "Hello You Lovely People". A great housewarming gift!